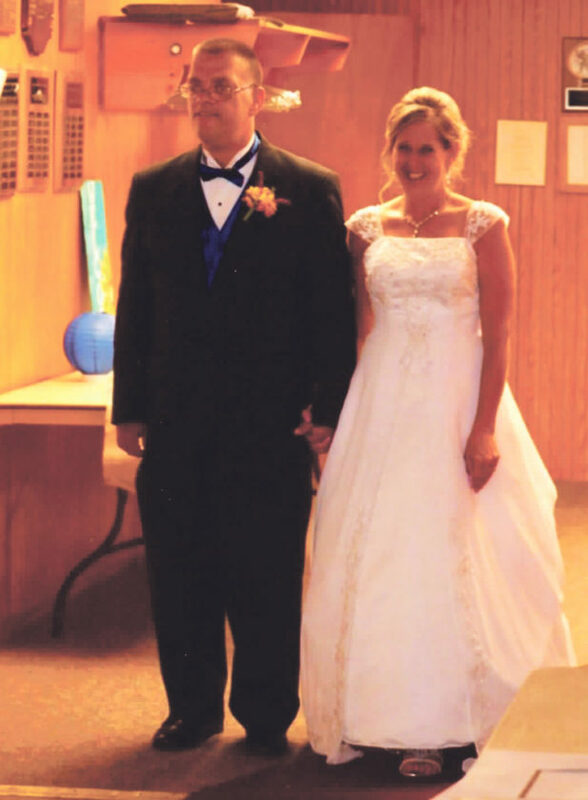 Christene Schmader, daughter of Dennis and Mary Schmader, and Roger Sullivan, son of the late Willis and Mary Sullivan, were united in marriage on Sept. 17 at 1 p.m., by the Rev. James Crossley, at Cherry Grove Chapel. Dennis Schmader, father of the bride, walked Christene to the altar. 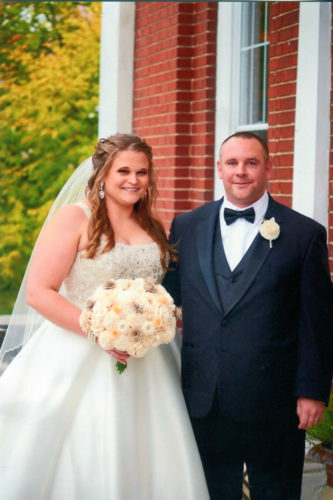 Ashley Atkins was her mother’s Matron of Honor. Kyle Sullivan was Best Man for his father. Mrs. Debbie Johnson, friend of the bride, from Erie, cut the wedding cake, with help from her husband, Joe. Sophia and Faith Strange, granddaughters of the bride, passed out bubbles to guests. The reception was held at the Pleasant Township Social Hall. A delayed honeymoon to Virginia will be taken at a later date.